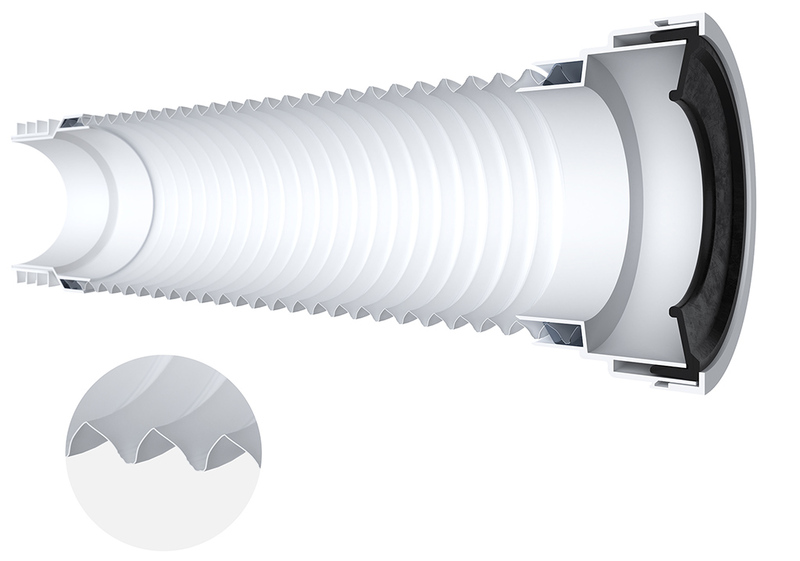 All SLINKY-FIT Flexible Pan Connectors have a Smart-Flo design extension tube. The material is specially shaped so anything passing through, hits a smooth point making every ridge point towards the soil pipe. It becomes really effective when the Pan Connector needs to be positioned on an angle. This design will help prevent any future blockage after the point of installation.